Continuing from my previous article about the coming paradigm shift for SEO, I explained that Google’s search results will become more and more subjective in the months and years ahead. Google is departing from providing objective search results. Whether this is a change for the better is a topic for another day. So, how will Google tailor-make your search results? Basically, when you do a search, the results will be different, depending on whether you are logged into your Google account or not. When you are logged out of your Google account, you are presented with an objective search results. To be absolutely sure that you are getting the objective results, you will want to run your web browser in private mode (“incognito” for Google Chrome, “Private Browsing” for FireFox and “InPrivate” for Internet Explorer). When you are logged into your Google account while doing a search, you will be shown the subjective search results. Your personalised search results will be skewed by socially shared and recommended content. That is, those whom you are connected to in social media will influence what you see in your subjective search results. Their influence will come in the form of sharing and recommendations. And by the way, no prize for guessing which social media network Google will use exclusively—Google+. Facebook is out! Make no mistake about this: Google is pretty aggressive in going along the route of subjective search in order to force the hand of brands, businesses and Internet marketers into adopting Google+ (notice that we are arguing for a case to use Google+ in this article). Once they come on board, consumers will come on board too. The hazard for Google is that they are risking the relevancy of their search results with this forceful approach. So, what does this mean for Internet marketers? Although Google+ is relatively unpopular compared to Facebook, it is advantageous for you to make a strategic move into it early while there are still plenty of low-hanging fruits and competition is scarce. You may be tempted to ignore Google+ today and wait till it is proven before making a move. But by then, you will have lost the first-mover’s advantage. What steps must you take if you want to make the strategic move? Firstly, this means that having a Google+ profile and business page is totally essential if you want to have any hope of influencing subjective search results. Some people reported that the influence is quite substantial, resulting in obscure web pages being pushed to the first page of the subjective search results. Second, you must aggressively extend your social network in Google+ because the larger your network is, the greater the spread of your influence (i.e. ability to skew subjective search results to your favour). Third, if your website has authored content, you must link your content to your Google+ profile so that Google can keep track and measure your rank as a person of authority. 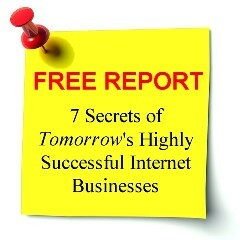 The importance of authority is something I mentioned in “7 Secrets of Tomorrow’s Highly Successful Internet Businesses”. Lastly, you must link your official Google+ Page for your business to your website so that Google can make the association. Once the association is made, any endorsement for your Google+ Page is automatically an endorsement for your website. And one last thing: there are indications that Google is using social endorsement (e.g. +1s) to influence the objective search results too. As I wrote in “7 Secrets of Tomorrow’s Highly Successful Internet Businesses”, Google’s machine learning (a branch of artificial intelligence) algorithms requires human input to teach it how to sift out the wheat from the chaffs. Knowing Google, I can see that social endorsements are a tempting source of human input. If you need help with setting up and running your Google+ social media strategy, we can help you with our paid service. Contact us now! Posted in Strategy and tagged author, authority, Facebook, Google, Googleplus, SEO.